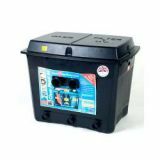 For ponds up to 25000 litres this pond filter has an 25 watt Uv built in. Recommended pump is the New Olympus ECO 8000 . 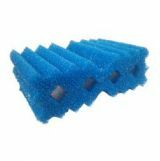 Clarity & Purity advanced 7 stage filtration with high powered U.V.C and quick action back flush (De-Sludge) system. 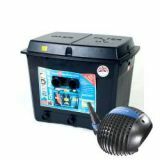 For ponds up to 40000 litres this pond filter has an 50 watt Uv built in. 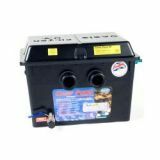 Recommended pump is the New Olympus ECO 10000 .Clarity & Purity advanced 7 stage filtration with high powered U.V.C and quick action back flush (De-Sludge) system. 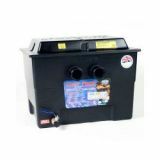 For ponds up to 50000 litres this pond filter has an 80 watt Uv built in. 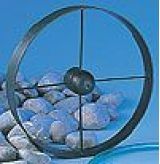 Recommended pump is the Bermuda 13000 FilterForce pond pump. Clarity & Purity advanced 7 stage filtration with high powered U.V.C and quick action back flush (De-Sludge) system. 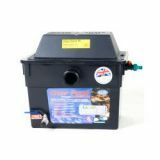 For ponds up to 15000 litres this pond filter has an 18 watt Uv built in. 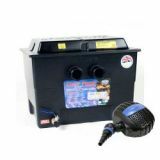 Recommended pump is the New Olympus ECO 5000 .Clarity & Purity advanced 7 stage filtration with high powered U.V.C and quick action back flush (De-Sludge) system. 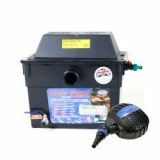 Clear Pond 80 Filter Pump UVC Kit with Lotus Eco 13000 Pump.